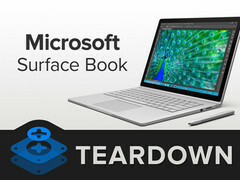 The Microsoft detachable can be very difficult to repair due to highly integrated components and extensive use of adhesives. The first notebook from Microsoft is a unique one both visually and technologically. We recently reviewed the device and it proved to be pretty good with some notable flaws on an otherwise well-made notebook. 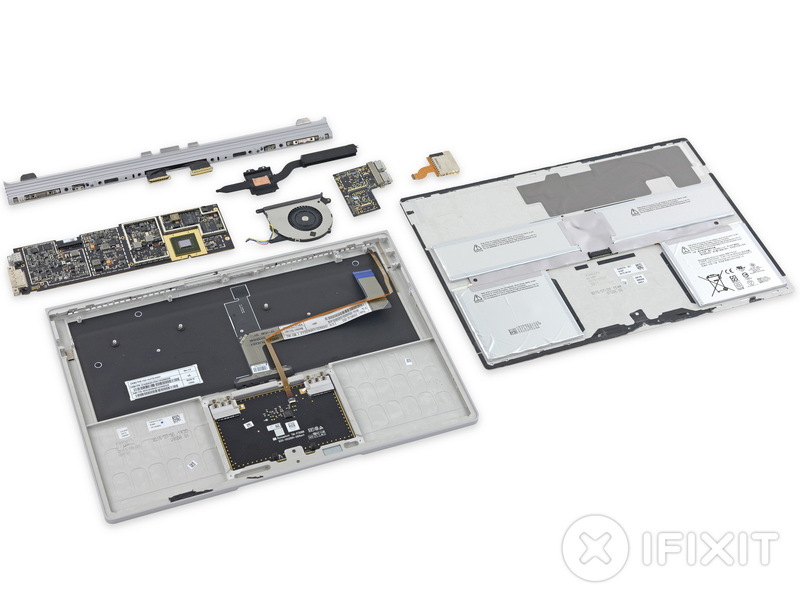 The editors at iFixit have torn down the Surface Book and found it to be an uglier process than initially expected. The closed-up chassis says it all as the notebook is designed to thwart end-user access. 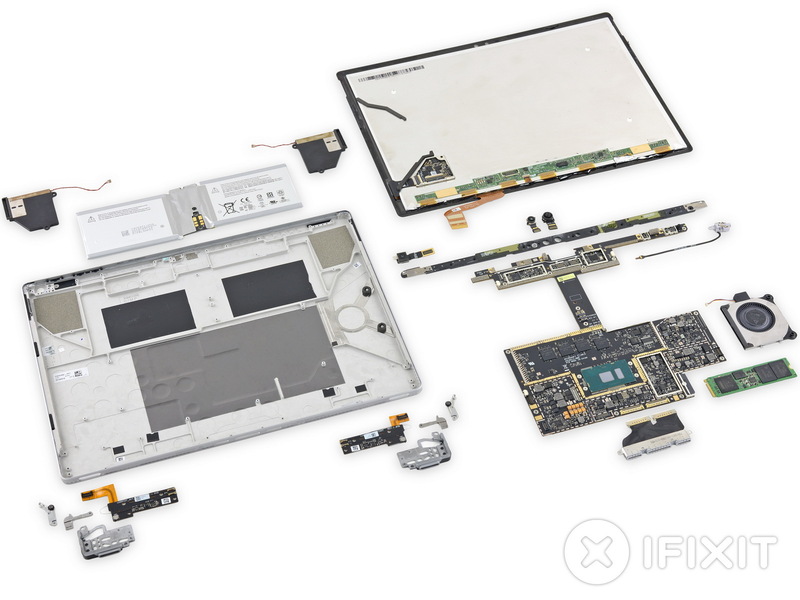 It uses adhesives extensively to the point where iFixit has awarded the notebook a repairability score of just 1 out of 10. Thus, the source strongly recommends that inexperienced users stay away from attempting any self-repairs on the Surface Book. Of particular note is the glass display of the tablet portion, which is similar to the Surface Pro 4 at just 0.4 mm thick. This can very easily shatter or injure the user during disassembly if the user is not careful. As for the keyboard base, disassembly will again require skilled hands. Strong adhesives are used on the batteries and other core components, which are all integrated and soldered directly onto the board. Additionally, iFixit warns of longevity concerns for the two built-in fans. Dust will eventually clog both, which may lead to expensive out-of-warranty repairs since disassembly is so tricky. It's clear that Microsoft had to sacrifice accessibility during the design of the Surface Book. If current owners ever have any hardware problems down the road, then don't expect it to be fixed so easily.